We offer specialist dry cleaning and repair services for leather and suede garments. The dry cleaning is done by an experienced and specially trained team, that know and understand how to work with expensive and an extensive range of suedes and leathers. 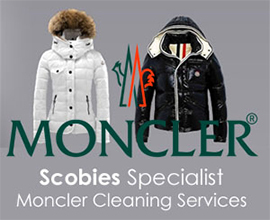 The Wandsworth branch of Scobies also offers a comprehensive range of services for Leather and Suede, including: altering, re-shaping and repairs. If you are interested in a personal consultation to discuss what you would like done to a particular Suede or Leather garment, please call Scobies Wandsworth on 020 8672 3392 and arrange a convenient time for you to bring the garment in and talk personally to our specialist tailor*. *Our specialist Leather & Suede tailor is available Monday to Friday.